What Allthings Triggers and Actions are Supported? New Activity - Triggers when another allthings user performs an action on a thing or list you are sharing. New Share Update - Triggers when a user accepts or rejects an invitation to share a list. New Subscription Member - Triggers when new user is added to the subscription. New Thing - Triggers when a new Thing is added to a list. Create Comment - Creates a comment. Create Thing - Creates a new thing. 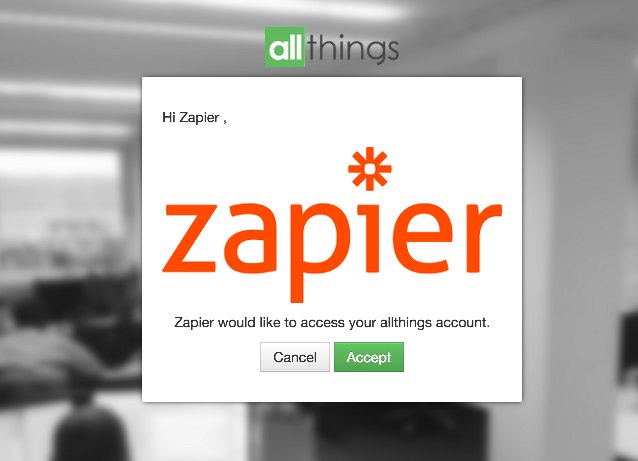 To get started with AllThings, first click to connect your account with Zapier. Next, you'll name this Allthings connection. Note: This name is only for identifying the account inside Zapier, it will not automatically try to add a specific Allthings account. 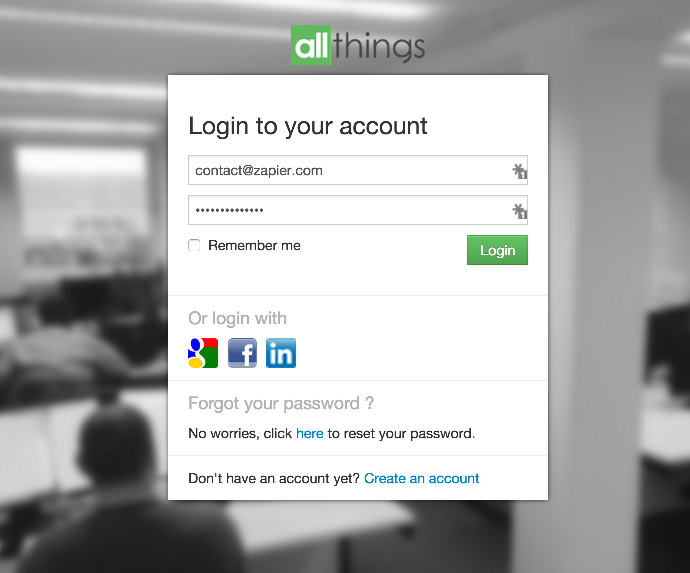 You should then get a pop-up window asking you to login to Allthings (if you are not already logged in on your browser). After logging in, you will need to click "Accept" to allow Zapier to connect to your account. Finally, you'll get sent back to your Zap where you now have your Allthings account connected! Click "Continue" to move forward setting up your Zap.